Best Dry Shampoos for Oily (Greasy) Hair (2019) – What Really Works? 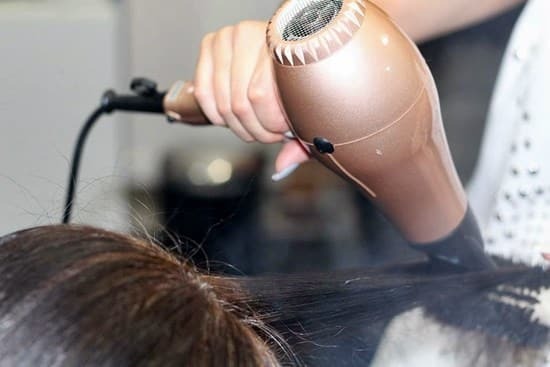 » Best Dry Shampoos for Oily (Greasy) Hair (2019) – What Really Works? Are powders or aerosol-based sprays the best dry shampoo for greasy hair? Aerosols reach the root of your hair with a single spritz. Powders are considered to be messy and hit and miss for the roots. This could be why the majority of people surveyed prefer to use aerosols. With that said, there are still plenty of people who love the powder form. There are trade-offs to both kinds. It’s so much easier to spray your hair and go than to apply powder. Many choose the powder because of the healthier ingredients, and that’s potentially more important. Some brands use clay, cocoa powder, talc or cornstarch, however, it’s combined with alcohol and butane. This is another reason why people prefer a powder over an aerosol spray. This guide will examine what works and reveal some of the top dry shampoos for oily hair. Oily or greasy hair means that some people need to shampoo daily. But, because shampooing every day is not good for the hair, you need an alternative to keep it clean. Thousands choose dry shampoos as an option to keeping their hair manageable, healthy and smelling fresh. Many dry shampoos are powdery substances which soak up the excess oils. You can use them when you want your hair to look clean but don’t want to wash out your style. You can make your own dry shampoo at home. However, it’s more convenient to buy a dry shampoo online. While they are simple to use, it may be difficult to decide which one to use. There are several brands on the market which claim to be the best, but not all are specific to oily and greasy hair. If you keep reading, you’ll find some of the top dry shampoos for your hair type. What Are the 5 Best Dry Shampoos for Oily Hair? What’s the Best Dry Shampoo for Greasy Hair? What’s the Best Dry Shampoo for Blonde Hair? Will Dry Shampoos Make Black Hair Look Gray? Do You Have to Wash Out Dry Shampoo? Do All Brands Use All-Natural Ingredients? How About Super Oily Hair That Can’t Be Washed for a Week? Do Dry Shampoos Remove Other Styling Products? Do Dry Shampoos Really Clean Your Hair? Can I Use a Dry Shampoos at Night? The last several years, dry shampoos have become the “thing.” Celebrities use them all the time, especially models. However, the right product makes all the difference in the world. If you were lucky enough to have picked the perfect brand the first time, you are among the fortunate few. Oftentimes, people must try at least a couple of brands before reaching a decision. Seriously, this is one cleanser you want to try. Why? It’s because it lasts for longer. You can go at least two days, perhaps more, without washing your hair. It cleans your hair by getting rid of excess oils and dirt in under 30 seconds. Not only that, but Klorane is invisible once combed through. It also helps to prevent odors and adds volume to your hair. Want more reasons to buy Klorane Dry Shampoo with Nettle? Your hair will have plenty of bounce, texture, and shine. It won’t make your scalp itch like some of the other brands, and it smells pleasant. Vegans and allergy sufferers love the formula. Klorane with Nettle uses aluminum starch and rice starch to absorb sebum and nettle extract. The extract is what pulls the oil from the scalp. What it doesn’t contain are colorants, parabens, sodium chloride or sulfates. For best results, use it on a regular basis. Spray your hair right before going to bed. What’s not to like about this product? Well, users report it doesn’t cover dark roots so those with black hair should keep reading to explore some of the alternatives. Check the Price of Klorane Dry Shampoo with Nettle on Amazon! Users say amazing things about Amika Perk Up Dry Shampoo, like it doesn’t stain your hair. In fact, it adds volume and texture to any hair type. Users find the product to work nicely, evenly distributes throughout the hair without the mess. The formula contains rice starch, so it soaks up the oil and removes the dirt. It doesn’t contain any talc, so there’s no white residue. In a nutshell, it revives lifeless strands. Once you try this brand, you may feel relieved to have found a brand that gives thin hair volume. You may also want to use the complementary products, including travel sizes, in between washings. Regrettably, the aroma could be a little strong for sensitive noses. Still, spray Amika on the roots of your hair and half the length of your tresses for the appearance of a clean head of hair without residue. Users find the product works best when applied overnight. Check the Price of Amika Perk Up Dry Shampoo on Amazon! Living Proof was mentioned as one of the best dry shampoos online. The people have nothing but great things to say about this brand. Living Proof Perfect Hair Day goes beyond the call of duty and throws in something extra no one else does. The “something extra” is what makes it the longest-acting dry shampoo on the market today. The brand is a little pricey, but you’re worth it, and the results won’t disappoint. You may have to shake the canister well to get the most benefits. However, if that’s all a person has to say negatively about this product, then by all means shake, shake and shake a bit more. After you spray it on, wait for about 30 seconds to massage it in or brush it in. If you need to spray more, use wide movements but don’t forget the shake the can first. Just so you know the advantages of using Living Proof, it removes odors from the hair, increases volume, and adds texture. The brand has a light fragrance that’s time-released, so your hair smells clean all day. That’s the power of their patented Cleaning Technology. Check the Price of Living Proof Perfect Hair Day Dry Shampoo on Amazon! Dove is a name you can trust, right? Why not give their dry shampoo a try? It does pretty much the same as the other brands, but some say, better. Surprisingly, Dove’s super-easy on the wallet. Dove Refresh + Care is affordable but just because it’s not expensive, doesn’t mean it’s not effective. It’s priced to sell. In fact, thousands are happy with the results. Dove Refresh absorbs oil, it allows time in between regular washings, and it leaves your hair smelling clean and looking fresh. If you have thin or flat hair, you may want to give Dove a try. Use Dove Refresh + Care and your hair will experience incredible lift and shine after a few sprays of this shampoo brand. There’s no waiting, and the spray absorbs the extra oils from the scalp and hair almost instantly, so you don’t have that greasy feeling. When you’re busy, this is one of the best dry shampoos for oily hair to have in your bag or your hair care basket at home. However, Dove has a sharp fragrance that users turn against and others don’t like the fact it can leave a powder residue behind. Check the Price of Dove Refresh + Care Dry Shampoo on Amazon! It’s no secret Asian women have some of the prettiest black strands in the world. What’s shocking is they use a dry shampoo just like you. Batiste Divine Dark has been called the best shampoo for black hair millions of times, so you get it. Asian women get it, too, so they buy in bulk. Batiste shampoos are the people’s choice. If you have dark, fine hair that sometimes gets grimy, oily or greasy, you may need to incorporate the Batiste line in your program for beautiful locks. It allows the user to skip a few days of shampooing. But that’s only one reason to love Batiste products. The formula helps people to regrow their hair even stronger than before, and it won’t leave traces of it behind. It smells great – leaving the hair with a clean, citrus scent that won’t set off any allergies. Divine Dark works on hair that is color-dyed, long hair or wavy hair. However, users say it dries out the hair and makes the scalp itch. The majority of users agree that it’s one of the best shampoos ever. 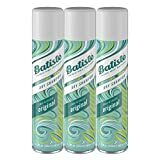 Check the Price of Batiste Dry Shampoo, Divine Dark on Amazon! The list of dry shampoos can confuse a girl who is trying to decide on a brand. They are so many kinds to choose from. They make a cleanser for dry hair and color-treated hair. With those in mind, developers also created a special shampoo formula for greasy hair. Due to the brand rivalry, the next “best dry shampoo” had to have something entirely different from the other brands. The new or improved version must stand out from the crowd. It must work for long hair, short hair, or greasy hair. Users should be able to go days without washing. Mostly, users don’t want to spend a lot of time between spraying the shampoo in and combing it out. The top dry shampoo won’t leave residue behind. It should also help strengthen thin hair because you can have thin strands and greasy ones at the same time. The one shampoo you should have in your home is the one that doesn’t make your hair stiff or flat. The right one will add volume and give your hair some texture. It could change your hairstyle entirely. The ingredients responsible for removing excess oils are the potato and rice starches. They are so good at what they do, and people don’t know if you washed your hair or not. It looks clean. Your blonde hair smells divine, so who knows? No one unless you tell them. Besides, washing your hair too much is harmful. With this in mind, the less you wash, the better. Here are 18 ways to clean greasy hair without washing. Developers make a dry shampoo especially for blonde hair to protect your hair color. This is a good thing if you’re a natural blonde or have blonde highlights. The best cleansing agent for blonde hair contains protectants to keep your hair from drying out. It’s so easy to ruin a perfectly good dye job being exposed to too much sun. The best shampoos for blonde hair also contain moisturizing properties like argan oil or macadamia to strengthen the locks. Imagine a recipe that hydrates and leaves your hair touchable and silky smooth. This dry shampoo should work on curly blonde hair as well as straight blonde hair. Also, users want a brand that chooses natural ingredients to encourage the cleanser to last and prevent frizz. Consumers learn from what actual users say about the products they use. In reality, developers learn as well. They take what the customers reveal about their products and make them better. The hair care realm is so broad, and major brands are finding it difficult to compete without feedback. With that said, take a look at some of the questions consumers asked about the best dry shampoos for greasy hair. Maybe you should consider a few of them before deciding on a shampoo. You should not have any problems if you brush the powder in well. If it isn’t blended well, it will make your hair grayish-looking or even white. This will also happen if you apply too much, so the best advice is to shake the can well to mix the product together and apply a little at a time. Batiste makes a line of shampoos and related products for black hair. Not only that but they have an excellent rating if you want to start there. Most users are repeat customers, and loyalty is always a good sign for a brand. You can buy it online and have it delivered to your door. Sometimes, it just feels good to wash your hair with water. It’s been at least three days since you shampooed so you jump in the shower and lather up real nice, and enjoy the massage. You even like the way the water runs down your neck. It’s rinse-and-repeat, yet your hair is still not clean. If this is your case, try a clarifying shampoo at least twice a month to remove all the buildup from products like dry shampoos. The hair is not always dirty just from everyday exposure to pollutants. It’s because of the buildup from the styling products people use every day. It’s also the reason why dry shampoos lose its effectiveness. You can exfoliate once a week, however, to keep the hair squeaky clean. Its always a good idea to avoid products with oil in them, especially if your scalp makes sebum freely. Instead, add a small amount of sugar to the shampoo you always use, and this should free up dirt and grime. Remember to wash with hot water and rinse with cold to get the best results. Always check the label even if a brand claims to the 100% organic. If the brand is pro-vegan, it should say so on the packaging. If the bottle has limited information, check their website for more on the subject matter. The list of ingredients should be displayed on manufacturer’s website. If not, they should have a contact number, so try calling them. Most shampoos are plant-based, however, and don’t contain any animal ingredients. Of course, the best brand to use is the one specifically for oily and greasy hair. Add to that, the one with the longest-lasting results. Most dry shampoos are effective no matter the price, but you may have to pay a little more for a particular brand. If it works for your hair, it’s worth it to do so. Along the same lines, you may want to consider a powder instead of a spray. This way, the powder will soak up the natural oils the scalp produces. Since you’re going to extend the shampoo’s capacity, you may want to follow up with a detox shampoo just to make sure your hair is clean. Try to buy all your products from the same brand to ensure compatibility and take advantage of any savings with you buy two or more products. No, dry shampoos are only to remove oils, odor, and excessive moisture. Hundreds use it to freshen up after a workout. Air-dried shampoos come in handy especially when there’s no time to shower and wash/condition the hair. You’re always going to hear two sides to a story no matter the subject. What works for one person may do the opposite for another. Often, people use the wrong product for their hair without realizing it’s necessary to the function of the product. At the same time, it’s possible to leave the product in for too long and get poor results. It’s difficult to say if a particular brand is harmful as there aren’t any reasonable explanations why it should damage the hair if used correctly. It also depends on the health of the hair before using the shampoo brand and if the correct category was applied. It’s reasonable to wonder how they work. The answer is simple. They work by installing a powdery substance among other ingredients that absorb moisture. This moisture is called sebum (the hair’s natural oil production). When the powder or spray is administered, it is combed throughout the hair and scalp. As the oil is no longer present, the hair looks clean. Any fragrances added to the formula allows the hair to smell fresh. It’s not a replacement for washing, but you should be able to skip a couple of days. Just as a reminder: Choose a formula according to your hair type to get maximum results. Otherwise, you may be unhappy with the outcome. With this in mind, you may, also, have to try a couple of brands to find the one right for you. Don’t worry. Plenty of people go through a trial and error before finding the perfect formula. Once you do find a compatible match, stick with it and use their product line. The quality of the care and maintenance of your hair depends on the choice of the products. It’s okay to use the shampoo at night or before going to bed. In fact, a lot of people prefer it that way since oil production happens overnight. Leaving it in overnight allows the powder to do its job. You get up the next day and comb or brush through. You’ll have hair that is manageable, fresh, and soft. You should have lift and bounce, so smile. If you have excessively oily hair, try Living Proof Perfect Hair Day Dry Shampoo. They may be more expensive than the other brands, but you won’t be disappointed with the results. If your hair type is thin, try Amika Perk Up. They specialize in voluminous hair. The decision you make about dry shampoos is an important one especially if you are going to be a regular user. You need to be able to rely on one brand. When you take your time to make a decision, it usually means you’re thinking it through. Think about your hair type. Is it oily or dry? There are all kinds of cleansers on the market today. The best dry shampoo for oily hair should fit all of your needs, not just some. 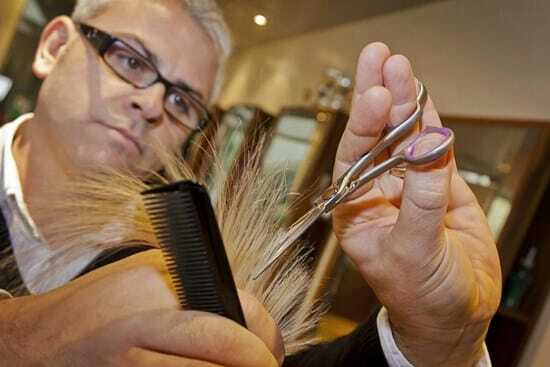 Hopefully, it will be at a price within your budget, be long lasting and help to maintain healthy locks or restore them.